Lorna Randlett is the Founder and CEO of the Leader’s Forum, a C-suite Asian American Pacific Islander executive think tank engaged in public policy. Commissioner for the White House Initiative for Asian American Pacific Islanders. Former, strategic communications specialist and external relations manager for the global management consulting firm, McKinsey & Company. Served the Advanced Industries, Knowledge, Strategy, Public Sector, Infrastructure, Higher Education & Social Sector practices. Also served the West Coast/Mid-Atlantic regions. Areas of concentration include global media, thought leadership/stake-holder cultivation and pro-bono & client engagements for nonprofit organizations. Experienced leader/advisor in presentation and media/strategic communications for directors and partners. Specialization in client relationships and management in high profile c-suite client events. Wade Randlett is the CEO of the transportation fuels division of General Biofuels. For the previous decade, Mr. Randlett co-founded and served as a senior executive for a variety of bio-diesel enterprises. Prior to his work in renewable fuels, Mr. Randlett co-founded Technology Network, Silicon Valley’s bi-partisan political action committee. He was responsible for the strategy and execution of TechNet’s federal and state agenda. Mr. Randlett negotiated with the White House and Congress over issues including securities litigation reform, H1-B Visa expansion, China MFN status, and FASB stock option treatment. Among his outside activities, Mr. Randlett served on the Obama-Biden transition team. He was later appointed twice to four-year terms by President Obama to serve on the Advisory Committee on Trade Policy and Negotiations (ACTPN) to the United States Trade Representative, from which he holds Top Secret security clearance. In addition, Mr. Randlett is a member of the College Promise Campaign National Advisory Board, tasked with working closely with Honorary Chair Dr. Jill Biden to advocate for free community college across the country. Mr. Randlett was the first outside Board of Directors member of E-Loan (Nasdaq: EELN), serving through its IPO, on its audit committee, and until its $425 million all-cash acquisition by Banco Popular. appropriations issues; and the Tri-Caucus (Congressional Hispanic Caucus, Black Caucus, and Asian Pacific American Caucus). She serves on multiple national AAPI boards: Asian American Justice Center’s National Advisory Council, Asian American Action Fund Board, and previously served on the Board of the Asian Pacific American Institute for Congressional Studies (APAICS). Francis Cheung was a founding advisory board member of Leaders Forum from 2016 to 2017. Francis Cheung is a technology executive with over 30 years of management experience at several of the largest global companies in the finance, entertainment, energy services and engineering sectors. He has led significant technology implementations and organizational maturity, improving overall capabilities to achieve business goals and service delivery. He is Senior Vice President of Infrastructure Engineering for Bank of America and is responsible for best practices and operations of demand management, capacity and performance management. Prior to joining Bank of America, he was Director of Program Management Office with American President Lines (APL), a global transportation and logistics company where he established project management methodologies and standard project deliverables and tools. Francis was Director of Technology Planning for Sony Pictures Entertainment (SPE) where he was responsible for technical architecture, standards and integration of innovative business and information technologies such as digital media transfers. His other responsibilities included Data Management, Groupware, Project Office and SPE Intranet. In the 80’s, he was the Manager of Information Technology and Manager of Production Systems for Halliburton Company and its subsidiaries, the world’s leading diversified energy services, engineering, energy equipment, construction and maintenance company. He was responsible for overall IT management, technology and operations. He led the design and implementation of engineering network, 3D CAD and visual plant design. Francis is passionate in talent development in the API community and has served 3 years as President and 12 years on the Board of Directors of AAPA – The Asian American Professional Association), a non-profit leadership development organization. Wenda Fong was a founding advisory board co-chair of Leaders Forum from 2016 to 2017. Wenda Fong is a well-respected producer and director of television and live events with a remarkable track record as an executive and community force. She began her career in television during her senior year at the University of Southern California as the producer and host of her own live, talk show series in Los Angeles. Ms. Fong can claim credit on over hundreds of primetime television programs ranging from all-star variety specials, award shows, live spectaculars, sitcoms, talk shows to documentaries including four Emmy telecasts, five Disney specials, seven specials with four Presidents and TV specials with Michael Jackson, Barbra Streisand, Frank Sinatra, Madonna, Prince and even Elvis Presley. She has launched productions across the United States and around the world. In 2001, she joined FOX as its first Vice President of Creative Diversity Development where she created and launched its successful diversity initiatives. In 2002 in addition to her diversity responsibilities, she was appointed to oversee American Idol. In 2003, she was promoted to Vice President of Alternative Entertainment. While at FOX for more than 13 years, she supervised all reality series and specials which represented thousands of hours of television including American Idol, So You Think You Can Dance, Hell’s Kitchen, MasterChef and The X Factor to name just a few. As a community leader, she co-founded CAPE, Asian Americans for Fair Media, was President of East West Players and served on the board of the Association of Asian Pacific American Artists. She has been a member of the Directors Guild of America since 1980 and is founding co-chair and chairperson emeritus of the DGA Asian American Committee. Ms. Fong is a member of the Producers Guild of America, the Academy of Television Arts and Sciences and has most recently joined the board of California Humanities. Fritz Friedman was a founding advisory board member of Leaders Forum from 2016 to 2017. Fritz Friedman is managing partner for the Los Angeles-based The Group, a strategic communications and marketing group specializing in the entertainment and tech industries. Among his clients are Sony Pictures, Parrot Analytics and Electric Entertainment. Prior to founding this company, Friedman had been with Sony Pictures Entertainment for 34 years and headed worldwide publicity and corporate communications for two divisions – Sony Pictures Home Entertainment and Sony Pictures Worldwide Acquisitions. He is on the adjunct faculty of The Annenberg School of the University of Southern California and was appointed to Cal Humanities by Governor Jerry Brown. Friedman is also a member of the Vassar College President’s Circle which advises the college administration on matters academic and financial sits on the Boards of Loyola Productions, the Jesuit media production company and The Leaders Forum. Friedman is also the co-founder and Chair Emeritus of The Coalition of Asian Pacifics in Entertainment, the largest entertainment trade organisation for Asian Americans in Hollywood. He received his BA at Vassar College and an MA in Communications from the Annenberg School for Communications at The University of Pennsylvania. Buck Gee was a founding advisory board member of Leaders Forum from 2016 to 2017. Mr. Gee is an executive advisor to Ascend, a nonprofit professional organization enabling its members, business partners and the community to leverage the leadership and business potential of Pan-Asians. In 2010, he co-founded the Advanced Leadership Program for Asian American Executives, an executive education program at the Stanford Graduate School of Business. He is the former board chair of the Angel Island Immigration Station Foundation and is co-chair of the Donor Advisory Board of Silicon Valley Community Foundation. He also serves on the board of Ascend/Northern California, the advisory board of the Asia Society/Northern California. He is a member of the Committee-of-100. In 2015, he received the Executive Excellence Award from OCA. He has also received the Civic Entrepreneurship Award from the Asian Pacific Islander Leadership Institute in 2012. Mr. Gee retired in 2008 from Cisco Systems, where he was Vice President and General Manager of the Data Center Business Unit. He joined Cisco with its 2004 acquisition of Andiamo Systems where Mr. Gee was President and CEO. Previously, he held management positions at Hewlett Packard, National Semiconductor, 3Com, Crescendo Communications, Com21, and Iospan Wireless. He has also taught computer and electrical engineering courses at Stanford University and Howard University. Enoch Liang was a founding advisory board member of Leaders Forum from 2016 to 2017. Enoch Liang is head of the firm’s Intellectual Property (IP) litigation practice. He is an experienced IP attorney, and has litigated all facets of IP disputes (including patents, copyrights, trademarks, trade secrets and idea theft disputes). Enoch has served clients across numerous industries including technology, retail, cosmetics, automotive, and entertainment. He has been the partner in charge of numerous patent infringement and IP matters in various venues including California, Delaware, Texas and New York. Enoch is AV-rated by Martindale-Hubbell and has been selected to the “Super Lawyers” list by Thompson Reuters in 2011, 2012, 2013, 2014 and 2016. In 2016, the World Trademark Review named Enoch as a “Recommended Expert” in trademark litigation. Also in 2016, the BTI Consulting Group named Enoch a “Client Service All-Star,” one of only 30 IP attorneys nationwide in the entire report. He was also named as a “2014 Top Rated Lawyer in Intellectual Property Law” by American Law Media and Martindale-Hubbell. In addition to IP matters, Enoch has successfully represented clients in numerous business disputes, including partnership disputes, breach of contract disputes, and consumer class actions. Since mid-2008, Enoch has argued (and won) all the appeals he has handled, including three in the Ninth Circuit. In that same timeframe, Enoch served as the first chair trial lawyer in six trials or arbitrations – winning all of them. Jim Park was a founding advisory board member of Leaders Forum from 2016 to 2017. 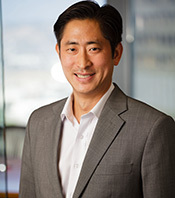 Jim Park is the chair of AREAA, the Asian Real Estate Association of America: an organization dedicated to helping Asian-Americans invest in US real estate, in addition to helping Asian-Americans in general become homeowners. Park has over twenty-five years of experience in the private, government and nonprofit sectors, and has successfully launched a number of real estate-related businesses. He has dedicated his career to supporting a number of organizations focused on the diverse communities, global business development and affordable housing issues. Park is one of the Founder and Partner of the Mortgage Collaborative, which works with small and mid-sized lenders to strengthen its market power and create innovative mortgage solutions for this important segment of the mortgage market. He previously owned Community Asset Solutions (CAS) and New Vista Asset Management, and currently serves on the Bank of America’s Consumer Advisory Council. Albert Shen was a founding advisory board co-chair of Leaders Forum from 2016 to 2017. Albert K. Shen is the National Deputy Director of the Minority Business Development Agency. He serves as the principal advisor to MBDA National Director, Alejandra Y. Castillo, overseeing the management of the day-to- day operations of the agency. His public policy and economic development advocacy focus has raised the agency’s profile in Congress and state houses and afforded MBDA the opportunity to make its business case around the country. His passion for community development put MBDA on the ground in cities like Baltimore and Ferguson facing the aftermath of civil unrest. Agency strategic partnerships with the US Department of Justice and local leadership are accelerating the restoration of minority businesses in these distressed areas. Shen has also challenged the agency to use available technology to document the work and streamline agency processes. Prior to his appointment with MBDA, Mr. Shen was a small business owner and respected community advocate whose leadership made significant impact on some of the largest and most critical infrastructure and environmental cleanup projects in the Northwest. For his efforts Albert has consistently received accolades from industry and community organizations. He has been recognized as one of the Top 100 Asian American Businesses in the U.S. Pan Asian American Chamber of Commerce and awarded the 2012 U.S. Small Business Administration Region 10 Minority Champion of the Year Award.